The original Chambers Bay poster has sold out. So, we have created the “Classic Series”, a digital print on enhanced Matte paper with increased clarity and color saturation and signed by Lee. 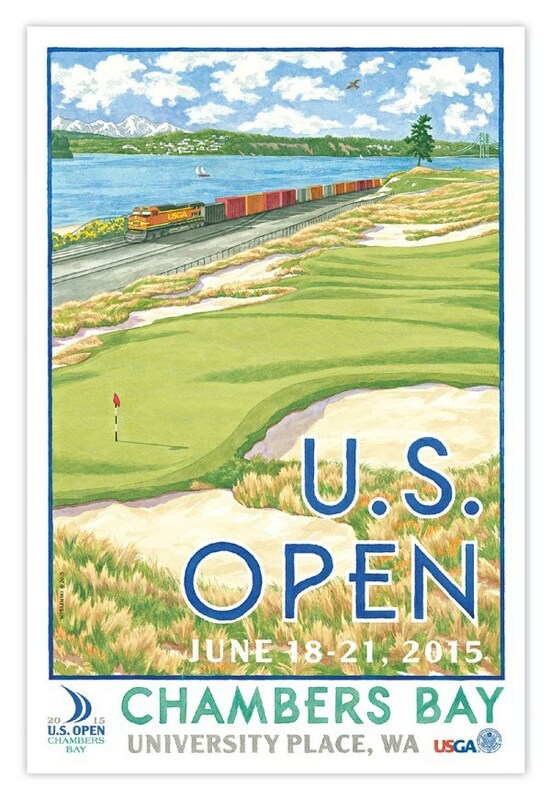 Chambers Bay will mark the eighth straight time that Lee has taken brush in hand to create the official poster for the United States Golf Association’s U.S. Open. It is also the first time that our National Championship has visited the Pacific Northwest.